I have, of course, tried very hard to organize this site to make it easy to navigate and easy to find what you are looking for, whether that be certain yoga exercises, pranayama techniques on advise on how to meditate. An article which helps you with how to navigate this website is AnmolMehta.Com Blows Past 2 Million Page Views – Best Free Yoga Website. But, what I also find helpful, is from time to time putting together articles that brings together various parts of the content that is already there, and this is one such article. In this article, I am going to provide you with the 10 best yoga exercises, from all the yoga techniques and asanas that are published on the site. What you will find with the yoga exercises below, is that they can be practiced by both beginners, as well as advanced yogis. Most of the poses that are difficult have modifications provided. Also, I have selected a range of poses and exercises, which are not just great, but which together cover almost all aspects of the body and internal systems. You can include these exercises freely into your daily yoga program, and I will also give you some suggestion on how to sequence them in part 2 of this series. Also, it is important to follow the guidelines for yoga that I have put together in the following 2 articles: 10 Important Guidelines for Kundalini Yoga Practice and Essential Beginner’s Guide to Yoga Practice. Each yoga exercise and pose below has a link to the document with all the details about that technique, so you can read more about it by heading over to that article. These poses and exercises are from across both great schools of yoga, hatha yoga as well as kundalini yoga, and you will find many of them used in the yoga sets and free online yoga classes that are offered here on the blog as well. One final note, is that the 10 exercises I have listed below are in no particular order. If there was just one yoga position you could do for your abs, Yoga Stretch Pose Core Abdominal Power would be it. This great pose, has some easy modifications for beginners, and also gives advanced yogis a real challenge when held for a prolonged period of time. 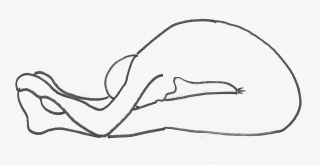 It is one of my favorite yoga poses and a must do everyday exercise. Oh yes, I almost forgot, this position is also excellent for working on your Navel Chakra, to help you develop amazing energy and tremendous willpower. Here is the yoga exercise which holds the power of eternal youth and longevity, the famous Yoga Bow Pose. Done regularly it has been known to keep you looking young and give you the energy and vitality of youth. The advanced yogi can develop rocking in this pose, which is even more beneficial to you. You will find your digestive system, respiratory system, entire spine, legs, shoulders and overall flexibility improved by this great yoga exercise. Stay tuned for part 2 of this series where I will give you 5 more top yoga exercises. How do i control my social anxiety and phobios by doing yoga and meditaion. Can you suggest me what kind of yoga and meditation techniques can control my anxiety. Since 20 days I have been doing astanga yoga and couple of pranayama techniques like anulom vinulom,Brahmari,bhastrika but i didn’t find no improvement in my condition. Usually how long it will take to control my anxiety if i do yoga and meditation. Could you please suggest me best yoga and meditation techniques to control my social anxiety and phobios. I am greatly appreaciated if you could give suggestions. Thanks for keeping us motivated . You inspire us to give our most to grow up spiritually, physically and intellectually. Thank you Anmol for embedding the link to Ben’s website at the beginning of this article. I have noticed the insightfulness of his comments here and have been curious to see his work. It reflects well on the two of you… sharing so freely back and forth. You both reveal the illusion of separation amongst us. I am so glad to have found this site and to now have access to Ben’s as well. 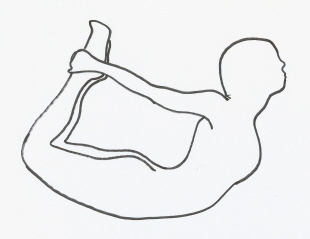 I had really fallen off my practice of the forward bend… I didn’t realize it until I read your post tonight and decided to do it again.